At the heart of the Cape Ann Museum’s holdings is its collection of paintings, drawings and lithographs by Fitz Henry Lane. It is the single largest collection of works by Lane in the world and gives the Museum a stature few other institutions its size can claim. It also makes the Cape Ann Museum a vitally important repository for information on Lane and a center for on-going research into his life, his artistic accomplishments, and his influence on generations of artists who followed in his footsteps. In many respects the Cape Ann Museum and the Lane Collection grew up together. Works by Lane began coming into the Museum in the mid-1920s, soon after the organization, which was founded in 1873, acquired its permanent headquarters. The treasured possessions of a handful of old Gloucester families, a vast majority of Lane’s paintings now preserved in the Cape Ann Museum were passed down from generation to generation. Some had never left the area while others had traveled off Cape Ann as families spread across the country during the second half of the nineteenth century. Fortunately, many of those were destined to return to the place they were created. During the 1930s, the Museum built a “modern” addition to its property to hold and display its expanding collection of Lane’s works including over 100 of his pencil drawings donated in 1927. In 1968, a second wing was added to accommodate Lane’s work. Over the years, Alfred Mansfield Brooks (1870-1963), long-time president and curator of the Cape Ann Museum, was instrumental in gently coaxing family and friends to give their paintings of Gloucester and surrounding areas to the organization. Brooks not only realized the artistic beauty of Lane’s work but also its importance in documenting the history of one of New England’s most productive and celebrated seaports. 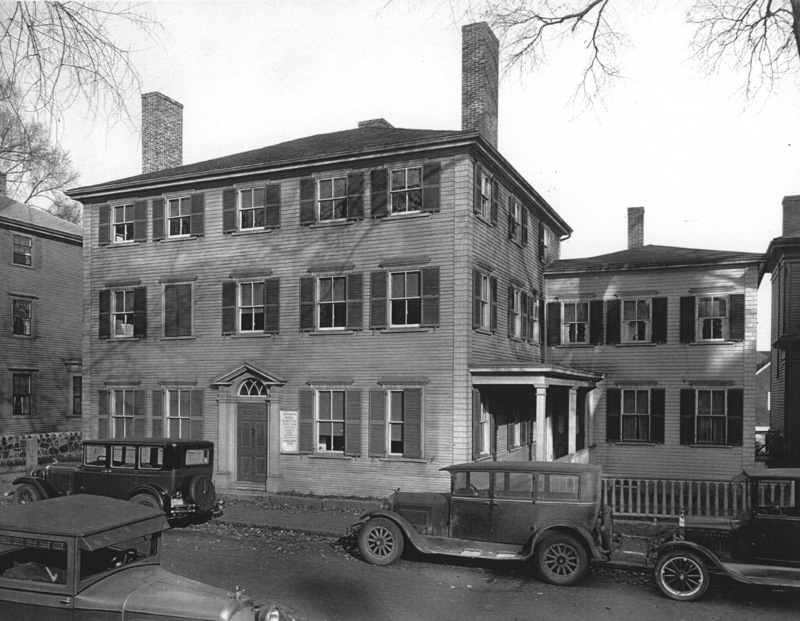 Cape Ann Historical Association as it looked in the 1920s, located at 27 Pleasant Street. Photo: Leon Abdalian. Cape Ann Museum. Gift of John Booras, 1997 #13657. Citation: "About the Cape Ann Museum Collection of Lane's Works." Fitz Henry Lane Online. Cape Ann Museum. http://fitzhenrylaneonline.org/page/index.php?name=capeAnn (accessed April 18, 2019).